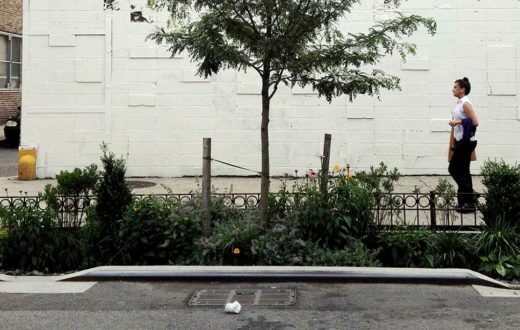 Green stormwater infrastructure has many benefits. 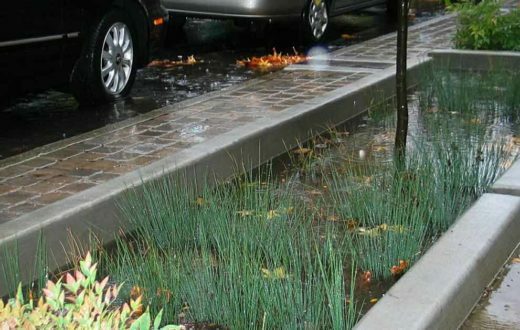 See how a rain garden is constructed and how various green stormwater infrastructure works together to mimic natural hydrology. 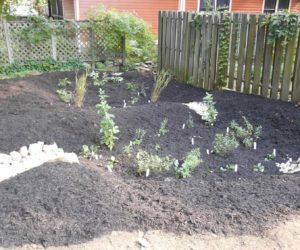 It was on me to make it happen and build a rain garden at my house. I live in Durham, NC and the town has a bit of stormwater problem and I needed to do my part in solving that problem. First, I had to find a place that was going to be suitable for the rain garden. 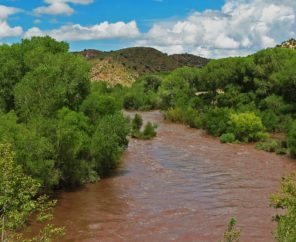 They are best located in the lowest point on the property so water can naturally flow to that location. It should also be a place that water from the roof top and drive can easily get to. I had the ideal location- an overgrown corner of yard that was downhill from my house and my driveway. Only problem, it used to be where an old garage was so as opposed to digging it by hand with shovels, we’d need some equipment to dig through the old foundation remnants. 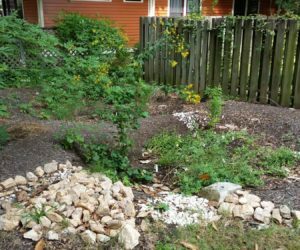 In partnership with the local watershed group, Ellerbe Creek Watershed Association, a plan was put together for how large the rain garden should be, what plants would look best and thrive in that location, and what runoff could be directed to the rain garden. Then it was time to get started. The nice thing about a rain garden is that it does not need to take a lot of complicated calculations to be built. 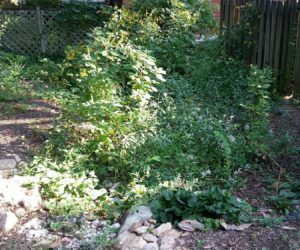 You can look at the space you have available and build a garden that fits that space; it may not be able to treat everything but it will be able to do a lot. 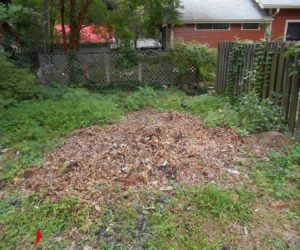 In my case, I had enough space for a double rain garden that would intercept the stormwater drains from half my roof and my driveway. Plus, I was able to incorporate my rain barrels into the system, which was really important since most rain barrels are only 55 or 60 gallons. 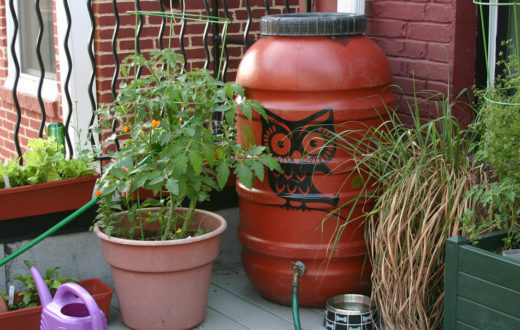 A rain barrel of that size can be helpful during times of drought but for stormwater runoff management that rain barrel is not big enough to make a significant impact. In this video I explain how that works in this project. The team of three of us and one small backhoe got the rain garden dug and planted in a day. It was a week later that the first rain fell on it and it worked perfectly. The garden has been in place since 2014 and it has only been during the largest rains – like during Hurricane Matthew in 2016 – that the garden as not been able to manage all the stormwater runoff. The plants and flowers have thrived creating great habitat for some small wildlife and pollinators. 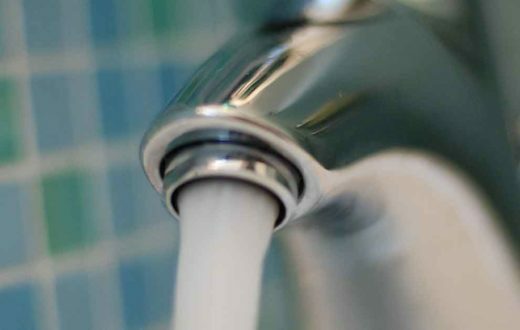 It is also doing its part to restore Ellerbe Creek and the Neuse River watershed by reducing pollutants like excess nutrients and better replicating the natural water management of the property. This is a great plan, and I can incorporate this into my yard with a few minor adjustments to my downspout system. 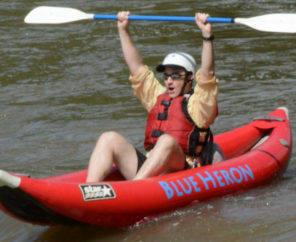 I live on the French Broad River down here in Madison County, and we love to see new ways of handling the runoff, and at least trying to purify it before it reaches the river. Thanks!